Goodwin Consulting Group is the leading special tax consulting firm in northern California that has combined expertise in both preparing the special tax formula when a Community Facilities District (CFD) is formed and administering the special tax levy on an annual basis thereafter. Because GCG manages the ongoing administration of more than one hundred CFDs, our staff is uniquely aware of the components that should be included in a special tax formula to ensure ease of administration, avoid complaints from homeowners and property owners, and require minimal interpretation by the public agency in future years. The principals of GCG have collectively written special tax formulae for hundreds of CFDs in California and Hawaii. These formulae have accommodated multiple bond issues for phased infrastructure funding, escalating special taxes, multiple tax zones to avoid cross-collateralization among landowners, variable-rate bonds, and state-of-the-art backup and prepayment mechanisms. Unlike many of our competitors, GCG looks at the projected annual CFD cash flow instead of simply estimating bonding capacity at project buildout. This detailed cash flow analysis considers all variables that may affect bonding capacity or maximum special tax rates, including bond interest rates, level vs. increasing debt service, reserve fund and capitalized interest requirements, and value-to-lien limitations. This service includes development of a comprehensive parcel database and a unique tax allocation model for each CFD. Taxes are calculated for taxable parcels based on each CFD’s rate and method of apportionment of special tax and submitted to each county auditor’s office for inclusion on the secured tax roll. Throughout the fiscal year, GCG tracks mapping activity, building permit issuance, and changes in land use within each CFD to maintain a current database of active parcels within each special tax category. GCG prepares an annual CFD tax report that provides a detailed list of the taxed parcels and their corresponding levies. In addition, GCG provides immediate responses to questions from homeowners, property owners, appraisers, underwriters, and other parties interested in the CFD and the special tax levy. GCG acts as the dissemination agent for many of our clients. In this role, GCG prepares and/or distributes the annual continuing disclosure reports to comply with the reporting requirements in the bond continuing disclosure agreement and SEC Rule 15c2-12(b)(5). These reports are submitted prior to the deadline set forth in the continuing disclosure agreement, as well as immediately after the occurrence of any significant event as defined in the agreement. California Government Code Section 53359.5 states that all public agencies that have sold CFD bonds after January 1, 1993, must file a Yearly Fiscal Status report with the Commission no later than October 30 of each year. The Yearly Fiscal Status report contains information about the CFD and the outstanding bonds, such as the assessed value of the properties in the CFD, the number and percentage of tax delinquencies, and the balances in bond funds. As part of the annual CFD administration, GCG completes a Yearly Fiscal Status report for all of our clients that have issued bonds. GCG works with the tax collector’s office in numerous counties to collect information on properties that are delinquent in the payment of their CFD taxes. GCG’s review ensures compliance with bond covenants that contain delinquency thresholds requiring an agency to foreclose on property once the threshold is reached. GCG monitors CFD tax delinquencies for all of its clients and sends notices to property owners prior to the foreclosure process commencing. The IRS requires a public agency that issues tax-exempt bonds to rebate all investment earnings on bond proceeds that are earned at a rate higher than the yield on the bonds. GCG monitors bond accounts and funds and performs the annual and five-year arbitrage rebate and yield reduction calculations for our clients. If a rebate to the IRS is required, GCG ensures that it is done in a timely manner pursuant to the IRS Code. Using the formula provided in each rate and method of apportionment of special tax, GCG calculates full and partial bond payoffs for property owners who want to terminate or reduce their CFD tax obligation. GCG works closely with the public agency, trustee, or fiscal agent to ensure that the payoff amounts are placed in the proper accounts and used to call bonds at the next interest payment date. 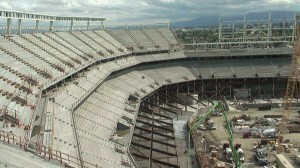 On June 8, 2010, voters in the City of Santa Clara voted to adopt Measure J, which allowed the City to lease land to the 49ers Stadium Authority to construct a new football stadium, in which the San Francisco 49ers would be the primary tenant. It was agreed that funding for the new stadium would come from a combination of private funds, redevelopment revenues, and a tax paid by hotels in the surrounding area. A CFD was selected as the preferred mechanism to secure contribution from the hotels. GCG developed a special tax formula that mimics a transient occupancy tax and will be collected in a similar fashion from hotels within the CFD. The special tax will be triggered upon the first NFL game played in the new stadium and will be collected quarterly for up to 40 years after the stadium opens. The CFD includes a future annexation area, within which any new hotels that are built must annex into the CFD and participate in funding the new stadium. The Transbay Transit Center Project is a visionary transportation and housing project that will replace the current Transbay Terminal at First and Mission streets in San Francisco with a modern regional transit hub connecting eight Bay Area counties and different parts of California through 11 different transit systems. The project is expected to cost more than $4 billion, in addition to the cost of upgrading supporting infrastructure and improvements in the surrounding area. Funding for the project will come from a variety of public and private sources, including a CFD that will include new and renovated high-density buildings in the area that are conditioned to participate in funding the Transit Center Project. 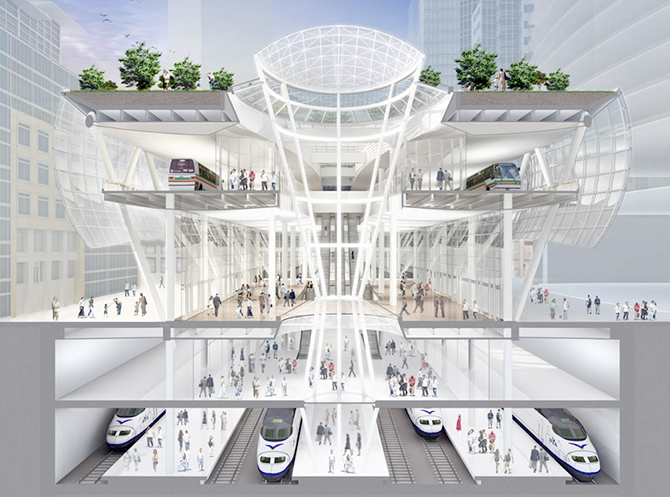 GCG prepared the special tax formula for the Transbay CFD, which anticipates high-rise buildings within which multiple land uses, that may change over time, will be constructed. Different tax rates will apply to square footage within each building based on the type of land uses and the overall building height. 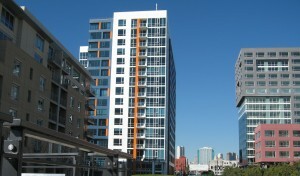 Because of the long-term nature of the CFD, and the complexities associated with dense urban development, the tax formula provides for a number of special considerations, including exemption of affordable units and child care uses, transition of the special tax in the event of condominium conversions, taxation of square footage added to a building in future years, and accommodation of changes in land use within buildings over time. The special tax will be triggered for each participating building after issuance of a certificate of occupancy, and bonds will be sold as the special tax capacity becomes available. The Vernalis Interchange is an approximately $20 million road construction project, designed to allow expanded aggregate production in the quarries of southwestern San Joaquin County. Balancing the requests of six aggregate producers and the County, GCG developed an RMA that set an assigned tax based on production numbers. A “stabilization” fund and backup tax were added to the RMA for additional security. Finally, because of the complexities associated with an assigned tax established a full year in advance, GCG constructed a model to be used by the special tax administrator to accurately determine the future assigned special tax rate. GCG has been hired to administer the quarterly and annual special tax collections and prepare continuing disclosure reports. 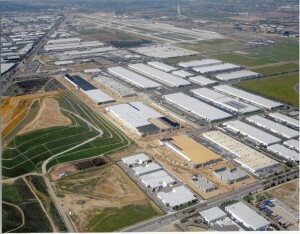 GCG was retained by the City of Los Angeles to serve as special tax consultant for a CFD that was proposed to fund replacement of a portion of the Los Angeles Convention Center that was going to be demolished to make room for the Farmers Field Event Center, which would have included a stadium for a new NFL team if one could be secured. GCG worked with the City and Anschutz Entertainment Group (AEG) to develop a special tax formula that was consistent with the “Plan of Finance” presented to the City Council when AEG’s proposal was approved. 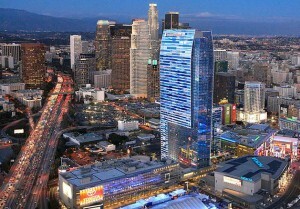 The proposed CFD boundary encompassed LA Live, a thriving 27-acre, mixed-use project in downtown Los Angeles. LA Live includes more than 5.6 million square feet of apartments, ballrooms, bars, concert theaters, restaurants, movie theaters, and a 54-story hotel and condominium tower. 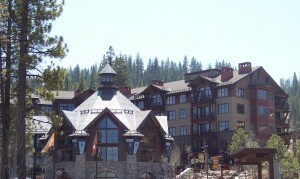 GCG’s special tax formula was designed to accommodate complexities associated with the project, including multiple land uses sharing a single airspace parcel; the leasehold interest between the City and Event Center developer; the need to exempt an existing parking structure until such time as it is expanded or redeveloped to include retail, office, hotel, or residential uses; and land uses that may be developed in the future on undeveloped airspace and subterranean parcels. Although the City and AEG reached agreement on GCG’s special tax formula, the efforts to attract an NFL team have been abandoned. On April 1, 1996, the Mare Island Naval Shipyard officially closed after 142 years of operation and was slated for redevelopment by the City of Vallejo. 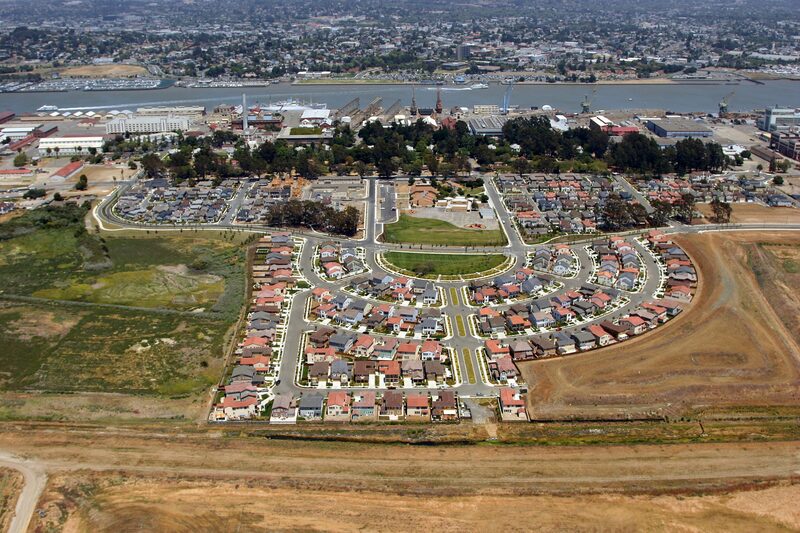 Lennar Mare Island was selected as the master developer for the project, and redevelopment commenced in 1997. GCG prepared a fiscal impact analysis that estimated the allocation of revenues once the island was parcelized and property taxes were levied. 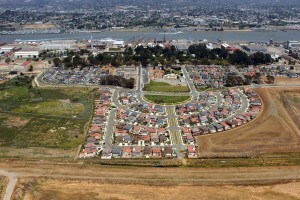 GCG’s model needed to account for the unique fiscal challenges that exist due to the geographic isolation of Mare Island, the ongoing phasing from public to private lands, and the antiquated infrastructure that needs to be repaired or replaced throughout Mare Island. To mitigate the impact new residents and businesses would have on the City’s ability to provide services, the City formed a CFD to pay for services on the island, including police, fire, sewer and water services (the City used its charter powers to add to the list of services authorized under state law). GCG prepared the special tax formula that first applies property tax, sales tax, and other traditional revenues to the annual services costs before calculating the special tax levy. 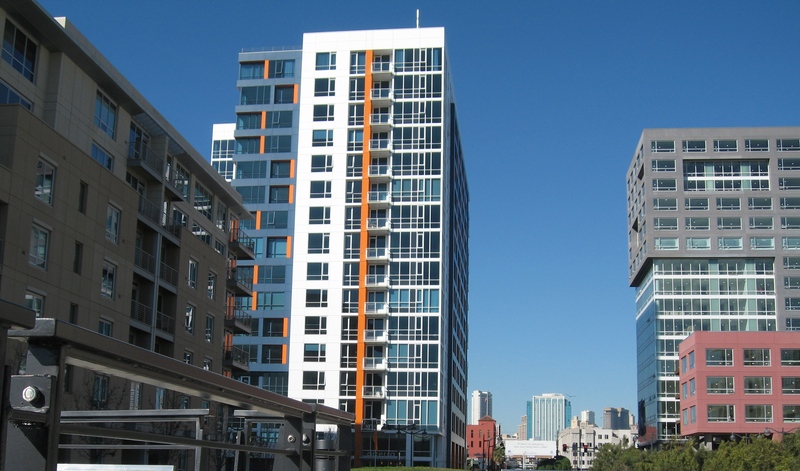 As part of the infrastructure financing program, GCG worked with the City and Lennar to form overlapping CFDs for infrastructure that will make use of the taxing capacity that is no longer needed for services once revenues are sufficient to cover service costs. GCG’s fiscal analysis demonstrates the point at which service costs can be covered by traditional revenue sources. GCG also prepared tax increment projections to assist in evaluating the potential for tax increment funding for certain capital improvements. GCG manages the annual CFD administration, which includes reviewing all building permit data for the City of Vallejo and maintaining a database of all parcels within the CFD boundaries. GCG was retained by the City of Ontario to provide special tax consulting services for all of its CFD formations. Five CFDs have been formed, all of which included a special tax to fund both facilities and services. Several unique features were incorporated into these CFDs, including (i) a special tax formula that shifts the facilities special tax burden to the most valuable land uses and limits the special tax on undeveloped land to an amount within the City’s value to lien guidelines, (ii) a provision that allows the City to fund capital replacement and life cycle costs over a period of 100 years, and (iii) authorization for the City to collect the maximum services special tax but use excess revenues to fund improvements on a pay as you go basis. GCG administers the larger CFDs, while the City manages the smaller CFDs in-house. Located within close proximity to the coastline, the Lono Kona subdivision contains single family units, duplexes, apartments, and several commercial and religious buildings, as well as some undeveloped parcels. The predominant methods of sewage disposal for properties within the subdivision are on-site systems such as large capacity cesspools and septic tanks, and many of the property owners have received EPA violation notices related to the use of these sewer facilities. GCG conducted a feasibility analysis that compared two land-secured financing tools to determine the best approach to repay the financing for the new sewer improvements that would connect to the County wastewater system, developed a benefit methodology for the proposed Improvement District (ID), calculated annual assessments for each TMK within the subdivision, ran multiple scenarios with different assumptions regarding USDA Rural Development (RD) grant and below-market interest rate financing, and assisted the County and its consultants in preparing the Preliminary Engineering Report and RD application. The RD application was ultimately approved, with a ratio of grant versus loan funds exceeding expectations. GCG then updated the analysis and prepared the preliminary assessment roll. Next, GCG will draft the Council reports, resolutions, and other documents necessary to form the ID and assist the County with the issuance of reimbursable general obligation bonds. GCG prepared the special tax formula for a CFD formed to fund more than $70 million in public facilities needed to upgrade and expand the Northstar-at-Tahoe ski resort. The tax formula includes three tax zones, seven residential special tax categories, and a non-residential special tax that increases at certain development intervals. Special exemptions apply to ski areas and related facilities on the mountain, and a separate method of apportionment is provided for developed, final map, and tentative map property. GCG has been hired by the Northstar Community Services District to manage annual administration of the CFD, including serving as Dissemination Agent for the continuing disclosure reports and preparing the arbitrage rebate calculations.